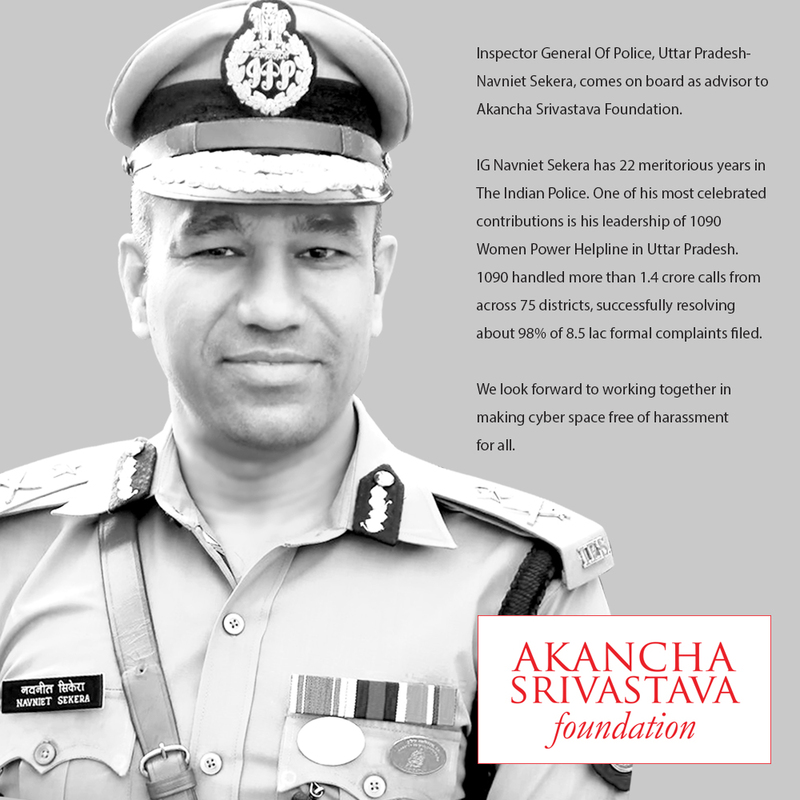 Honored to welcome Inspector General of Police (UP)- Navniet Sekera Sir, on the advisory board of Akancha Srivastava Foundation. His involvement with the mission so far has been invaluable. Looking forward to working together in making cyber space free of harassment for all.